For not being a whiskey bar, we do whiskey well. Connect, meet, and unwind with expertly curated whiskey flights and handcrafted cocktails in our Burdock + Bitters great room and bar. The atmosphere is unique compared to other hotels in Omaha, Nebraska and varies depending on the time of day. We offer coffee and cookies in the afternoon to whiskey experts pouring drinks at night. Unwind, dine, and savor the downtown Omaha nightlife. If you're looking for some of the best craft cocktails that Omaha has to offer... look no further. You've found us. At Burdock + Bitters, we use only the finest spirits and the freshest ingredients to cultivate our cocktails. At our cocktail bar in downtown Omaha, pick the brain of one of our talented craftsmen and we can guarantee you will experience something you love. 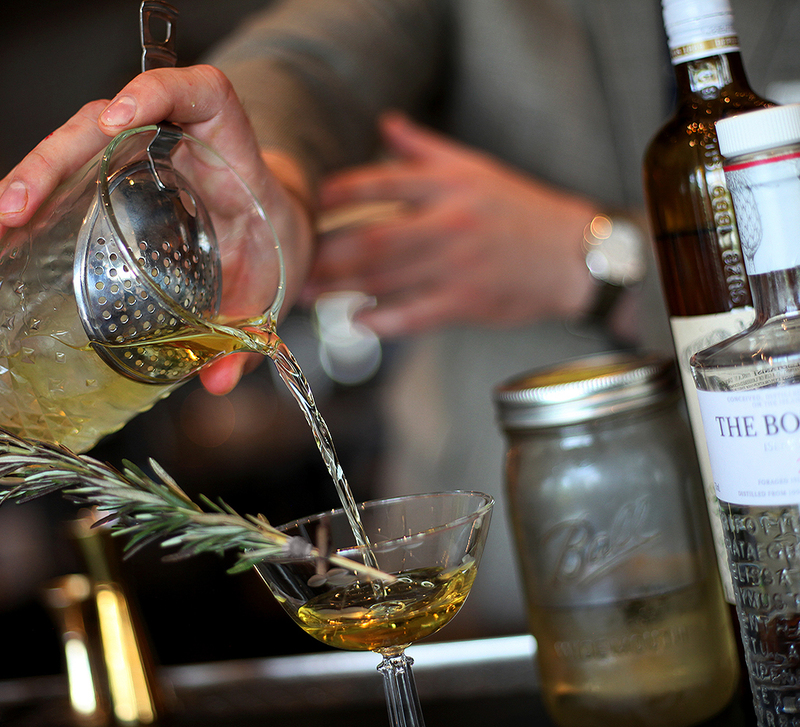 From whisky to wine, our bar offers gorgeous, potent, and dangerously delightful creations. You're in for one hell of a treat. Savor downtown Omaha at our cocktail bar and lounge. While our cocktails are next level incredible, it's not always all about the drinks. 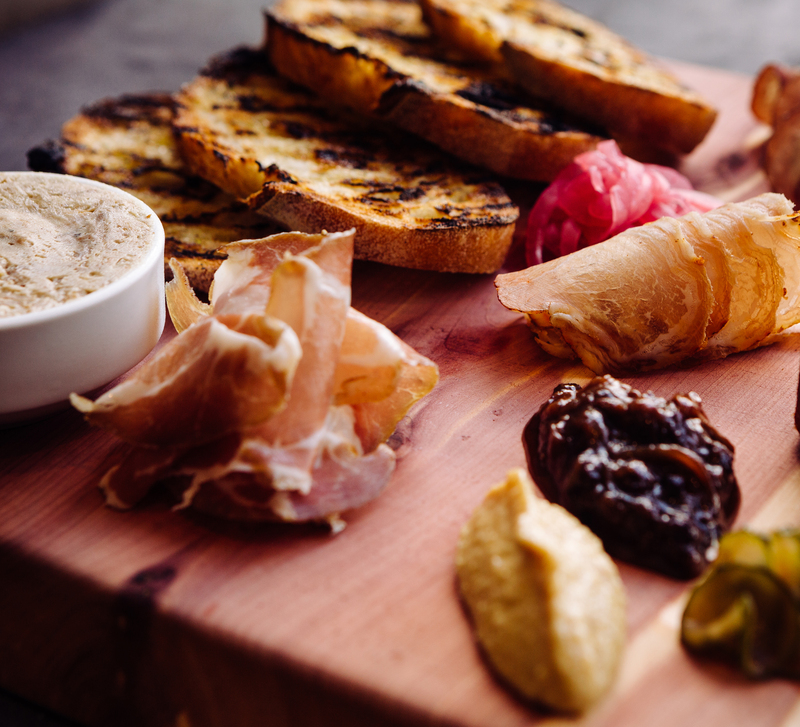 We've developed a dynamic menu, the brainchild of culinary mastermind, Chef John Engler, of Society 1854. From tender and savory to super sweet, our menu pairs perfectly with your drink of choice. "EXCELLENT COCKTAILS WITH KNOWLEDGABLE BARTENDERS. I'LL BECOME A REGULAR HERE." 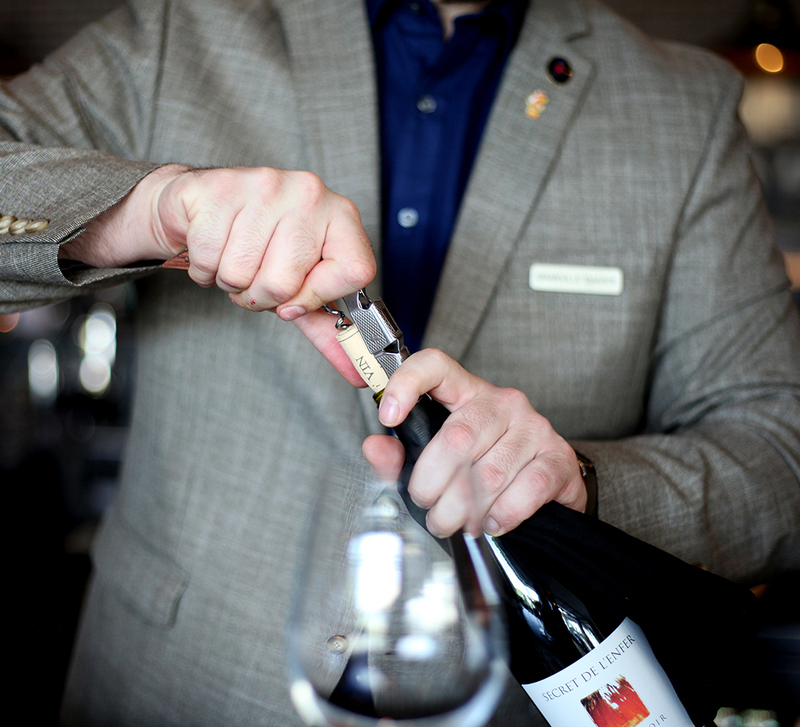 - TRAVIS M.
Enjoy 50% off select wine bottles on Wednesday evenings from 5pm - close. A pinot and a pairing? We are so down. If you can't make Wine Down Wednesday, check out our happy hour offerings available every Monday-Friday from 4-6pm.